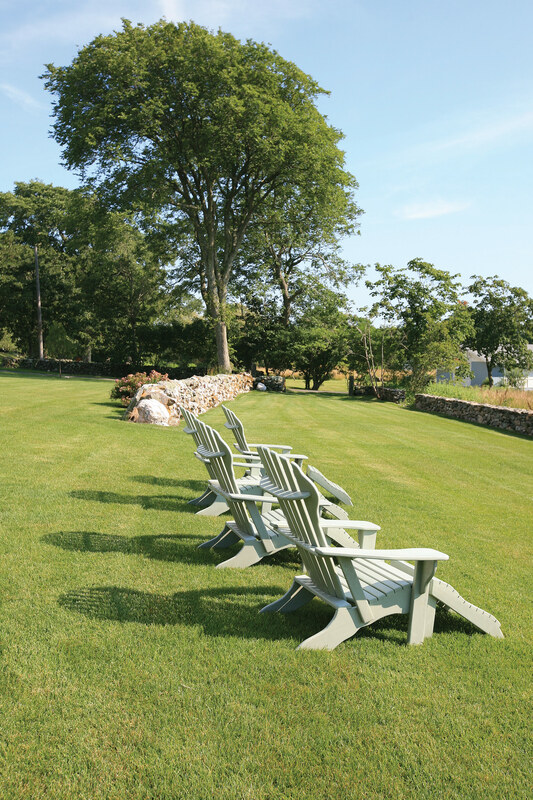 The design for Longview Farm draws its inspiration from the pastoral landscape of coastal New England. The main house is an historic building set into a sloping site. The project scope included a new pool, spa, guest house, pergola, fireplace, driveway, outdoor shower, and twin roofed structures that frame the lower play lawn. KFA was also responsible for all the outdoor furnishings, lighting and planters. The result is a naturalized, yet elegant, farmhouse-style family retreat. 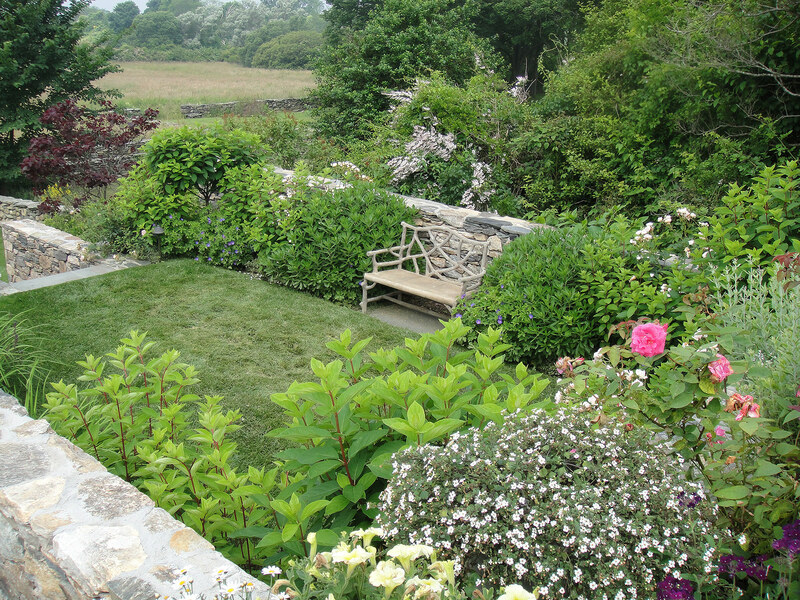 The steeply sloping site was transformed into three levels, connecting the house to the meadow below. Large fieldstones are used to form an outdoor fireplace and hearth which sits under an inviting timber-framed wisteria and rose pergola. 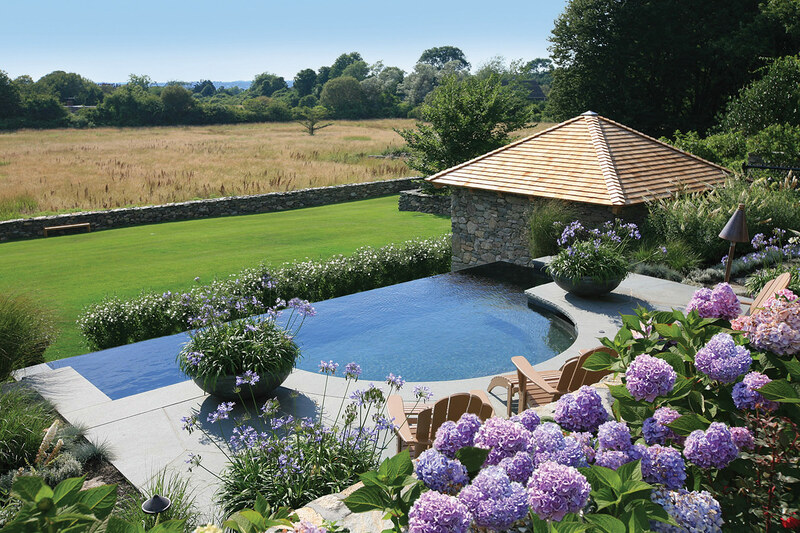 The tranquil pool overlooks the soft summer fields to the distant ocean beyond. The large spa sits in a private space below the pool. Twin rose-covered roofs frame the views to the meadow and create both a shady terrace as well as a pool equipment storage building. Materials speak to the agricultural vernacular. 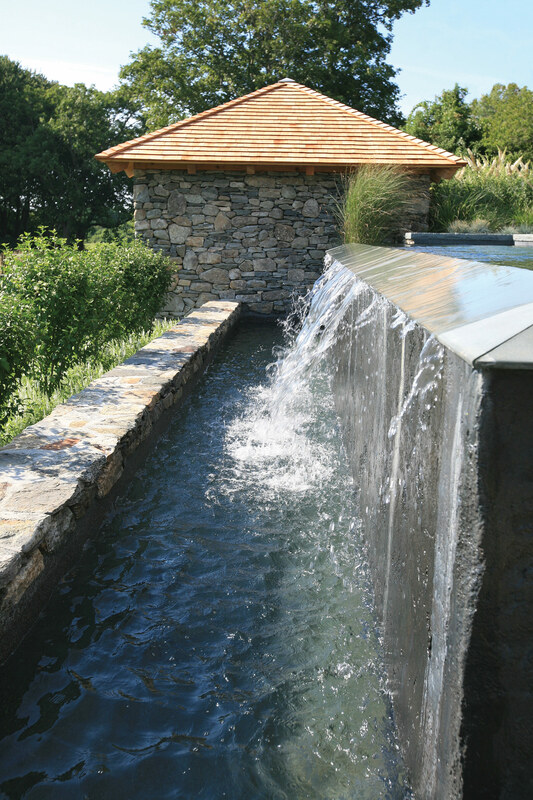 Bluestone, native fieldstone, wood, copper and exposed concrete evoke the era of graceful yet practical farm living. The original farm is said to have developed a famous Heritage Breed chicken, and its image was the inspiration for the bronze arch bases and the fence cutouts. Custom gates and bronze latches are also features of this project. 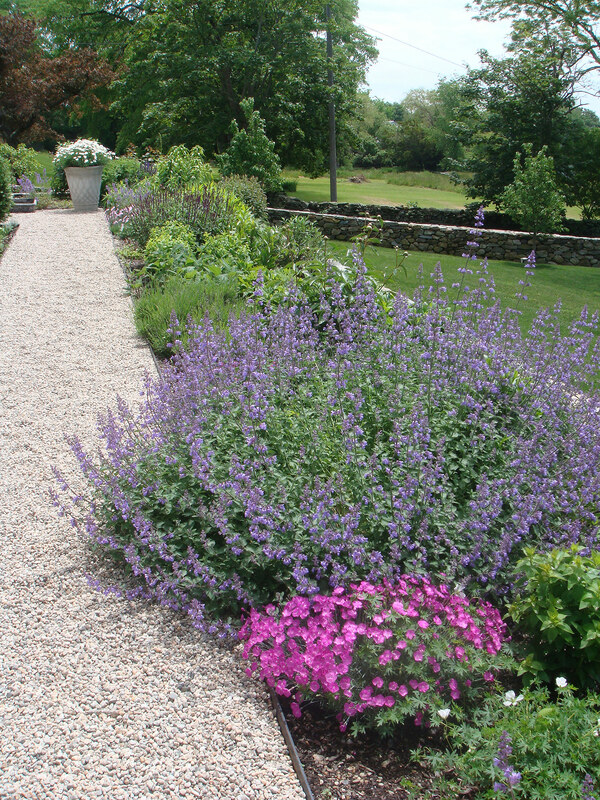 The planting scope includes perennial and summer flowering borders as well as screen planting and annual pots. Careful management of existing mature heritage trees was critical in the areas of new utility work.